When it comes to the likelihood of becoming disabled, women have shown a higher rate of disability than men. The reasons for this are tied to things like breast cancer, complications of pregnancy, and other illnesses that are specific to females. According to the Bureau of Labor Statistics, the number of women in the work force is growing at a rate that is twice as it is for men. The statistics also point to the fact that women contribute about a third of all household income. This greater likelihood of filing a claim under a disability insurance policy causes females to (typically) pay premium rates that are higher than men do. It is possible for females to purchase insurance with “Unisex” or “Gender Neutral” rates, which when combined with other discounts, can reduce the annual premium by as much as 50%. Many females will purchase disability insurance with standard “Female” rates simply from not been offered a “Unisex” discount. It is possible that the insurance agent that they worked with was unaware of such programs or it could be that they did not have access to the discount. We commonly work with females that have purchased coverage within the past year or so that come to us to learn more about how they can reduce their premiums for disability insurance. Some females purchased coverage in an environment where “Unisex” rates simply were not available. We would recommend all females to take a close look at their coverage to see if they are paying for a “Female” rate or a “Unisex” rate. Although a “Male” rate is typically lower than a “Unisex” rate, the additional discount that can be added to a “Unisex” rate can lower the rate to the point where it is lower than a standard “Male” rate. Point being, Unisex Multi-Life discount programs can lower the premium rate for men and women. Also, it is important to note than many carriers offer “Unisex” rates. Each carrier’s rates are different. Also, the additional percentage discount that can be added to the discount varies across discount programs, and across the various insurance companies that sell disability insurance. Definition of Total Disability that provides “Own Occupation” coverage. 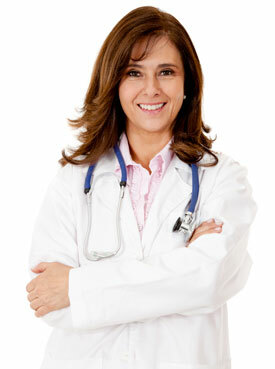 If you are a Physician or Dentist, look for coverage that would consider your occupation to be your specialty. Future Increase Option (also referred to as a “Benefit Purchase” rider) rider that can allow for additional coverage to be purchased without further medical review. A benefit period that allows for the policy to pay the insured until “age 67” or “age 70”. 90 day elimination period is the most common selection. Once the policy is in place, the elimination period can be moved out to 180 days, 360 days, or whatever the carrier offers. The elimination period cannot be reduced to 60 or 30 days without purchasing a new policy (full underwriting). It can make sense to move the elimination period to 180 or 360 when adequate savings have built up. Many policies have the following provisions. Take some time to review the specifics. Refer to sample policies to read the specific policy language from the various carriers that offer disability insurance. Also, take a look at your group disability insurance policy. Some policies even pay 3 month death benefits or allow for the insured to receive benefit payment if they need to care for a sick or injured immediate family member. Take a look at your individual disability insurance policy. Look to see if you have a Unisex Disability Insurance policy or a Gender Neutral Disability Insurance policy.